Albright College offers subscriptions for several kinds of digital tools for teaching and learning. Expand each section below to learn about these tools. Kaltura’s Video Package for Moodle enables you to view, record, upload, publish, search, and share video directly from the LMS environment. This can translate into improved student engagement, creativity and learning results. In addition it is easy to use for both faculty and students. Zoom web based conferencing system allows you to add a virtual meeting room to any of your Moodle courses. You can use this to meet with your students virtually for a formal class, a one-on-one meeting, or for small group work. This stable link will be available to you and your students throughout your course for as many meetings as you want to have. The instructor is automatically the meeting host and can meet and optionally record the meeting for up to 40 minutes at a time with a basic account. If a meeting is recorded, that recording is stored locally on your computer but can then be uploaded to Kaltura and a link to the recording can be placed in your Moodle course. Important: All faculty must register their account at Albright.zoom.us prior to using this service for the first time. Use your Albright login credentials to create the account. 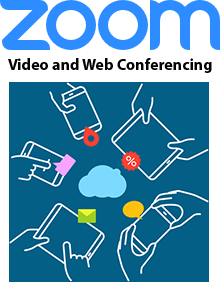 Below are resource documents to help you use Zoom. Albright has pro accounts available to lend out o a temporary basis. If you need longer than 40 minutes for meetings, contact Client Services to request access to a temporary pro account. VeriCite is Albright’s plagiarism detection service that scans student submissions and identifies potentially plagiarized or improperly cited text. The service automatically checks submitted work against an index of online sources. VeriCite is integrated into Moodle and this is the only way to access the service. VeriCite is accessed through Moodle using a Moodle Assignment and selecting various checkboxes to activate the service for that particular assignment. VeriCite publishes step-by-step instructions for using their service. Access and download the VeriCite Resource Guide for step-by-step instructions. Moodle is administered and supported by the division of Digital Strategy and Infrastructure (IT Services). Training, support, and course design assistance are available year-round for faculty and students from Client Services and the Instructional Design team. 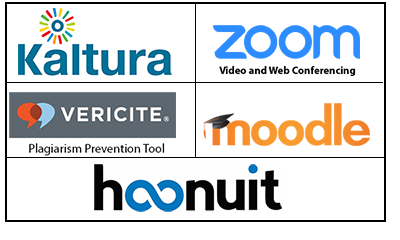 hoonuit is a 24/7 on-demand training service for professional development that is available to the entire campus. It’s more than just a library of 1500+ videos. Videos are organized into Learning Pathways or they can be viewed individually by anyone from the campus who wants to learn a new skill or idea. Faculty can embed hoonuit content directly into Moodle for easy student access and monitoring of completion of viewing of videos and assessments. Content is organized into the following categories: Software and Technology, Student Resources, Instructional Strategies, Assessment & Evaluation, Planning, Learning Environment, Special Populations & Accessibility, Leadership. Download this hoonuit handout to discover how to access and search for content.